Metal tube frame with plastic seat and back. 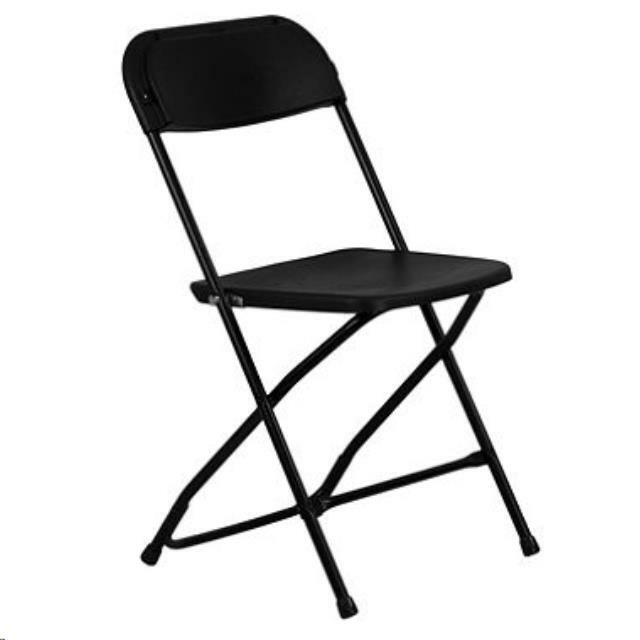 Good basic folding chair for outdoor events. * Please call us for any questions on our black samsonite folding chair serving Portland-Vancouver Metro, Columbia River Gorge and surrounding areas.